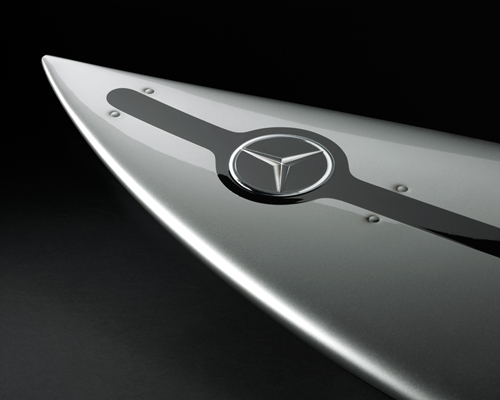 surfing is one of the most popular water sports in the world, with an incredibly rich culture of surfboard design technologies and fashion. 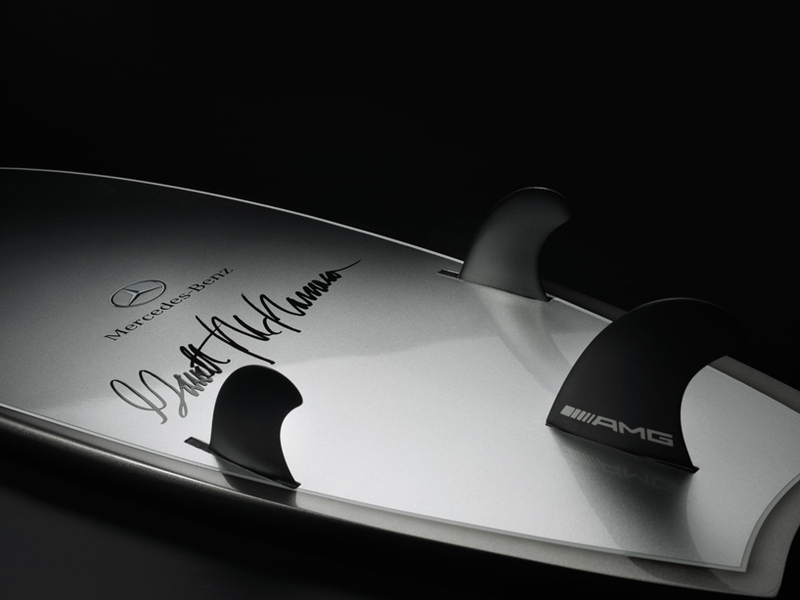 in BBDO portugal’s most recent work for mercedes-benz, the creative agency set out to promote big wave rider garrett mcnamara’s sponsorship to help challenge the massive wave breaks at nazaré north canyon in the north of portugal. 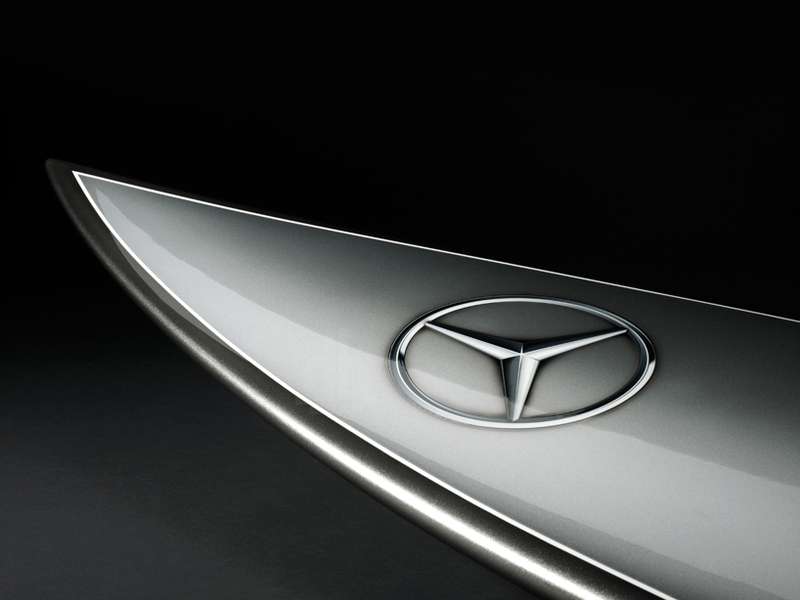 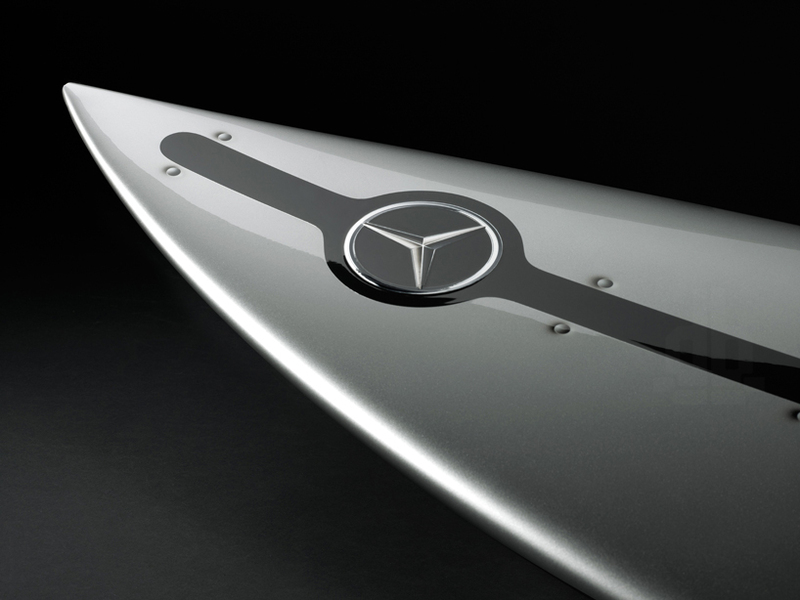 since mercedes-benz officially supports mcnamara with vehicles only on the road, BBDO proposed for the german luxury brand to provide him with official vehicles also in the ocean, specifically a surfboard deemed as the ‘silver arrow of the seas’. 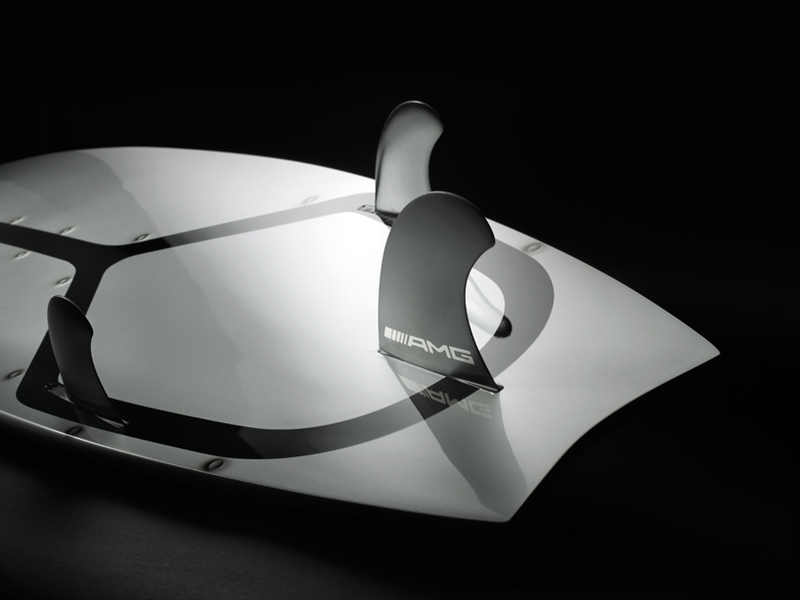 for the first time, technicians, engineers and designers at mercedes-benz AMG in stuttgart developed a surfboard with a telemetry system: a transmitter inside garrett’s wetsuit measures his surfing performance. 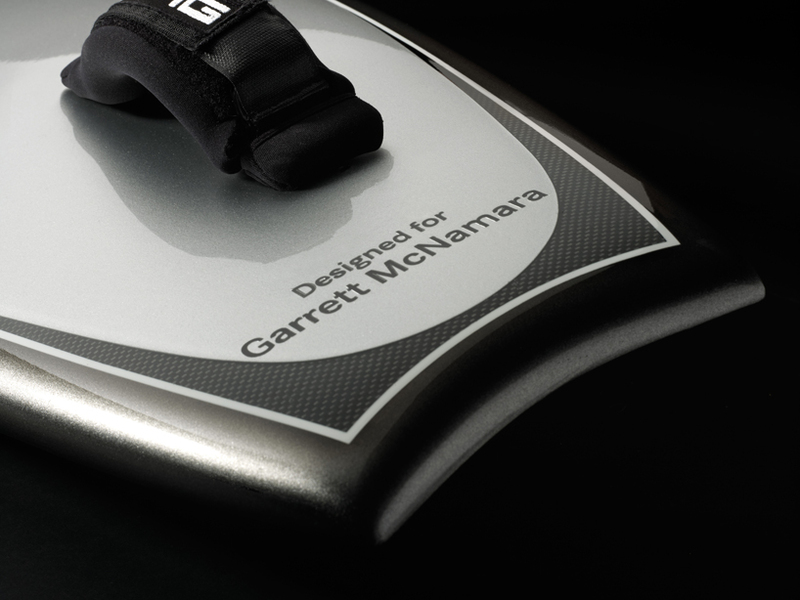 the board was created specifically for garrett mcnamara’s trademark riding style and tailored for catching big waves.